You’ve heard of the “slow food” movement; now that concept is being extended to the experience of art. 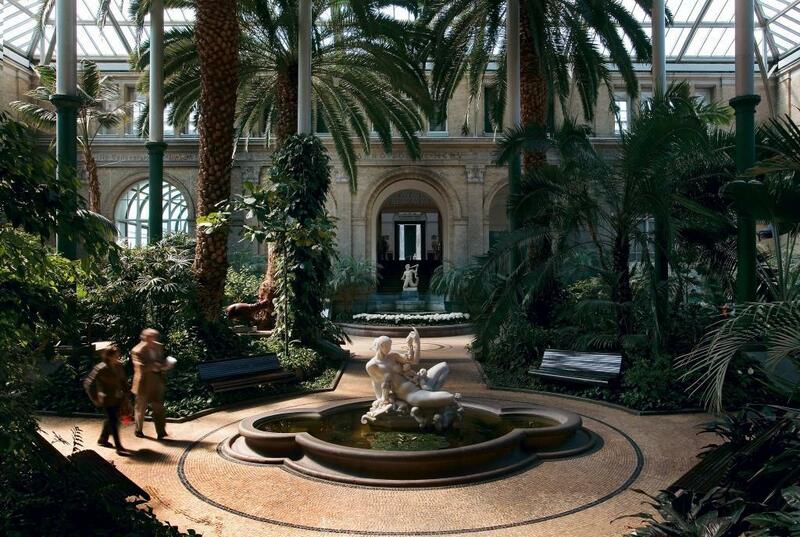 At the premiere Slow experience at the Glyptotek Museum in Copenhagen, you can partake in talks in the cafe, soundscapes in the wintergarden, simmering food surrounded by ionic columns and Roman statues in the ceremonial hall and tours that get you close to the art. The first event is on Thursday March 26 starting at 17:00 and is based on the rather appropriate theme: “Time”. The event opener is sound artist SØS Gunver Ryberg performing her new quadrophonic piece using a spatialized Kyma 7 Multigrid in the unique and beautiful surroundings of the Glyptotek Museum Wintergarden. In addition to live sound art by SØS, you can hear Egyptologist Mogens Jørgensen talk about embalming and time or philosopher/author Erwin Neutzsky-Wulff discuss the nature of time; you can sample food laid out on long tables overseen by long-dead Romans frozen in marble; you can experience a new type of museum lighting that lets you get much closer to the art, and, most important of all — you can savor the time you’ve been given to contemplate the entire experience. Rusty O’s girlfriend is awesome.